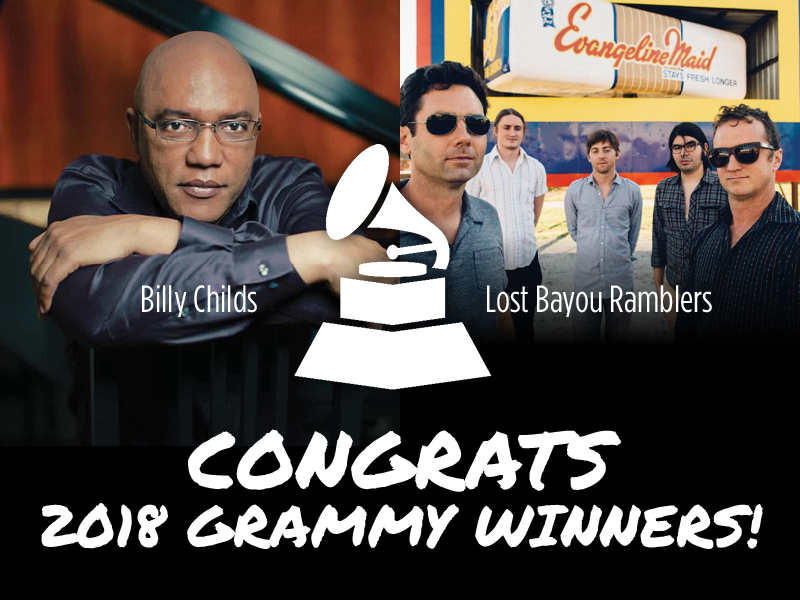 Congrats to Lost Bayou Ramblers and Billy Childs on their GRAMMY wins! This past Sunday, nearly 20 million viewers tuned in to watch the 60th Annual GRAMMY Awards live broadcast. Music giants across the industry flocked to Madison Square Garden in New York to honor their peers. 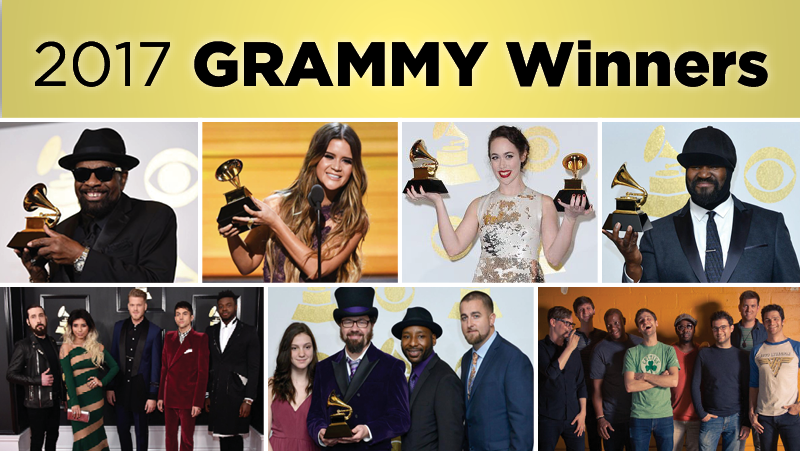 This year, 15 GRAMMY nominations went to artists who had performed on Levitt stages and we were thrilled to see that two of those artists went on to take home those prestigious gilded gramophones! 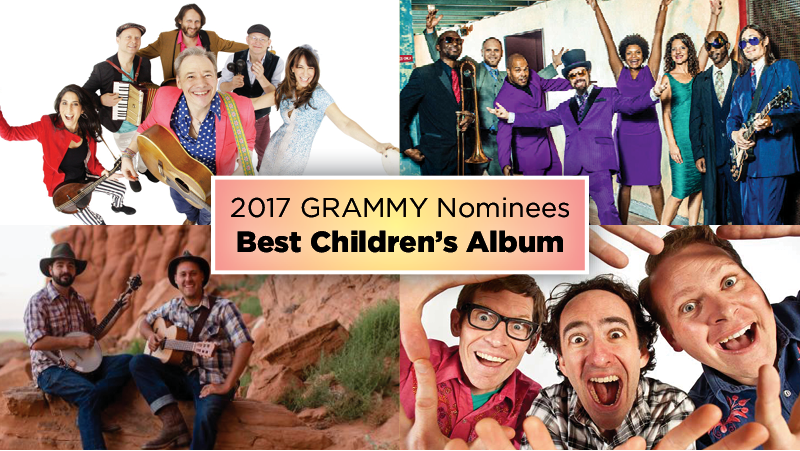 This entry was posted in Levitt Artists and tagged Billy Childs, GRAMMY Awards, Lost Bayou Ramblers on February 2, 2018 by Nicole McGaffey. Congrats to these 2017 GRAMMY winners who have graced Levitt stages! This entry was posted in Levitt Artists and tagged GRAMMY Awards on February 13, 2017 by Lucy Truong. This entry was posted in Levitt Artists and tagged GRAMMY Awards on February 10, 2017 by Lucy Truong. 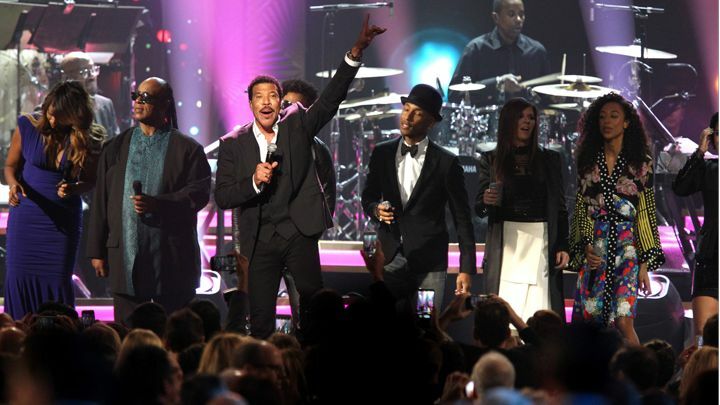 This entry was posted in Uncategorized and tagged Dave Grohl, GRAMMY Awards, Lady Antebellum, Lionel Richie, Luke Bryan, MusiCares, Pharell Williams, Stevie Wonder, Usher on February 26, 2016 by Nicole McGaffey. Cheers to the 2016 GRAMMY winners who’ve graced Levitt stages! This entry was posted in Levitt Artists, News and tagged Abigail Washburn, Béla Fleck, GRAMMY Awards, Jon Cleary, Pentatonix, Snarky Puppy on February 16, 2016 by Nicole McGaffey. Celebrate the lives and legacies of the first GRAMMY-winning African Americans! 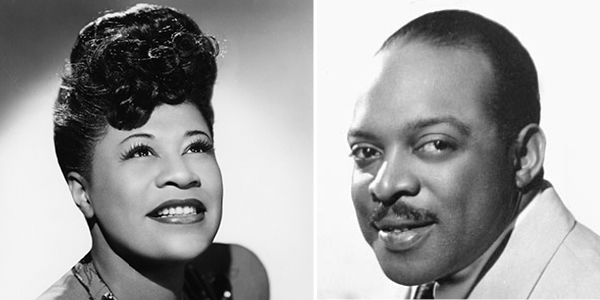 This entry was posted in Beyond Levitt, Holidays and tagged African American History Month, Count Basie, Ella Fitzgerald, GRAMMY Awards on February 2, 2016 by Nicole McGaffey. What better way to celebrate Women’s History Month than to spotlight a group of determined female musicians who’ve pioneered their way into music history? Here we celebrate one of the 15 talented members of Mariachi Divas de Cindy Shea, the all-female, two-time GRAMMY-winning mariachi group. Dedicating their lives to a genre that has traditionally been dominated by men, Cindy Shea and the ladies of Mariachi Divas de Cindy Shea have challenged gender stereotypes, creating some incredible music in the process. In 2009, the group became the first all-female mariachi group to earn a GRAMMY nomination and win. They’ve since been nominated five times and took home a second GRAMMY Award for Best Regional Mexican Music in 2013—an award which marked the first time any mariachi group (male or female) had received two GRAMMY awards. Be sure to check out their recent album, 15 Aniversario, which celebrates 15 years of making music with one another. We can’t wait to see what these determined divas are up to next! 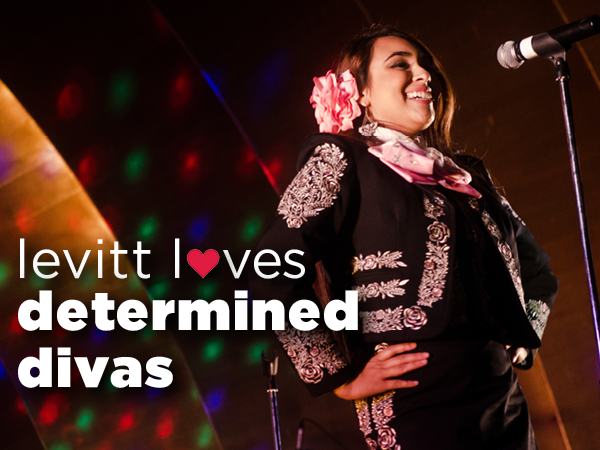 This entry was posted in Levitt Artists, Levitt Loves and tagged GRAMMY Awards, Mariachi Divas de Cindy Shea, Women's History Month on March 3, 2015 by Nicole McGaffey. 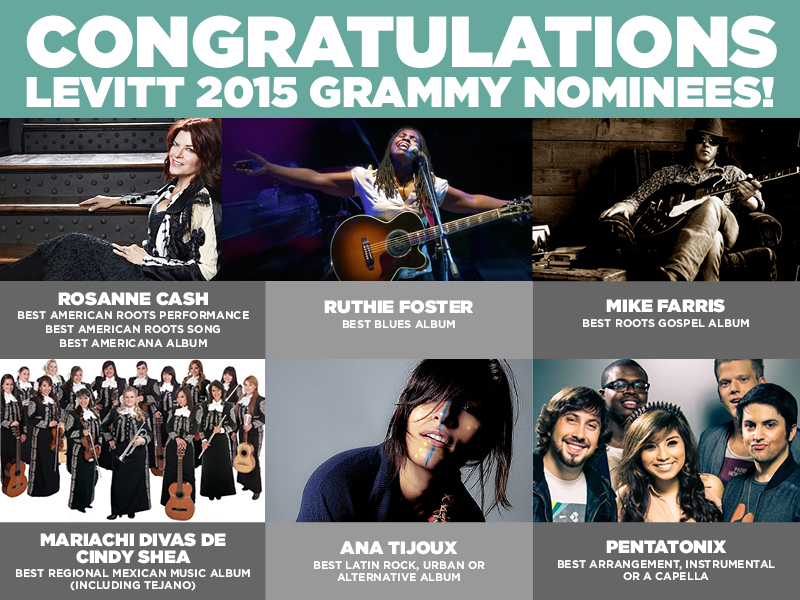 Cheer for These Levitt Artists During Sunday’s GRAMMY Awards! The 57th Annual GRAMMY Awards are coming up this Sunday, and we’re proud to announce that once again, multiple artists who have performed on Levitt stages across the country have received nominations! 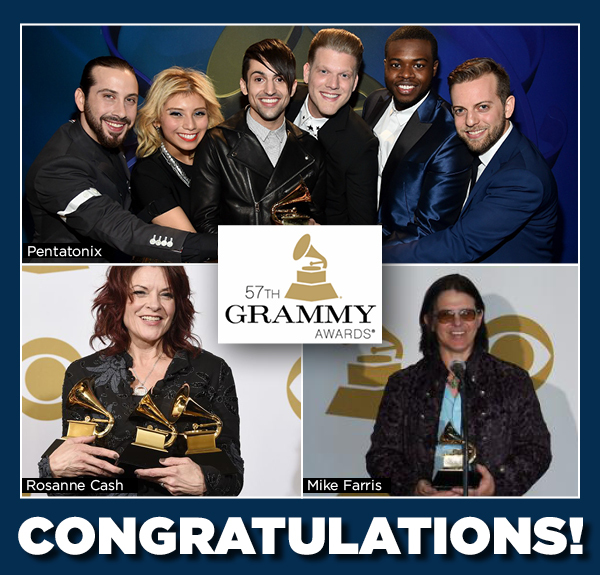 Rosanne Cash, Ruthie Foster, Ana Tijoux, Mariachi Divas, Pentatonix and Mike Farris are up for a total of eight awards, and we’re so excited that they’ve been recognized for their artistry and outstanding achievements in the music industry. This entry was posted in Levitt Artists, Levitt in America, News and tagged Ana Tijoux, GRAMMY Awards, GRAMMYs, Mariachi Divas, Mike Farris, Pentatonix, Rosanne Cash, Ruthie Foster on February 6, 2015 by Katie Huang.